A 35-member delegation headed by Prof. Dr. Neelum Naz, Dept. of Architecture and Dr Ghaffar, Chemistry department of University of Engineering and Technology (UET) Lahore visited Pakistan Institute for Parliamentary Services (PIPS) and Parliament House on the invitation of Speaker National Assembly Sardar Ayaz Sadiq on 23-11-2016. 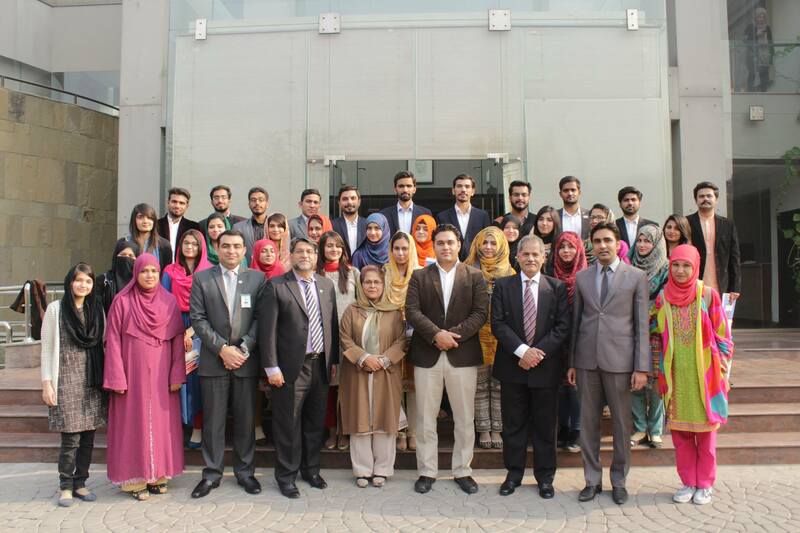 During the visit to PIPS, Executive Director Zafarullah Khan welcomed the faculty and students from different departments, UET Lahore and gave them a briefing on the importance of Parliament and working of Pakistan Institute of Parliamentary Services. It was followed by an interactive session by Muhammad Rashid Mafzool Zaka, Director Research who explained the triangular relationship of Constitution, Parliament and state. He briefed the visiting students about key fundamentals and articles of the Constitution and the concept of Shura. He also talked about important aspects of the Constitution including Islam, welfare state, federalism, independence of judiciary and parliamentary democracy. During the brain storming session students actively participated and gave up valuable comments.